Feel free to discuss our shipping policies with us should you have any questions! We love our international clients and we send the majority of our orders travel all over the world from South Africa to the United States, Canada, Europe and Australia! Our international shipments are handled through the South African Post Office and shipping fees are calculated accordingly. We’ve tried to keep our shipping policies as straight forward and transparent as possible. As a rule of thumb when selecting the South African Post Office option our parcels are sent via registered mail in appropriate packaging and you will be provided with an applicable tracking number. For tracking your parcel you can use the www.trackmyparcel.co.za website with the tracking number provided. Please note that we cannot be held responsible for any lost or stolen parcels. All delivery times are estimated by the post office over which we have no control. We also provide a courier shipping option for those who prefer and for this we use Aramex couriers who we have found to be fast, efficient, professional and secure. 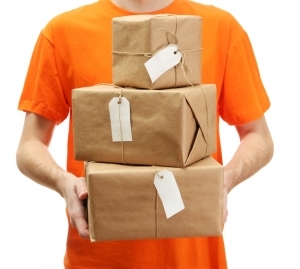 Courier Shipping fees vary depending on the parcel size, weight and destination. Should you wish to make use of the international courier shipping option then let us know and we will revert with the applicable fees. Parcels will only be shipped once the confirmed shipping fee has been paid. Aramex rates are R99 for the first 5kg and are subject to change without notice. Please be aware that the parcels send using this option will be delivered to door and only during office hours. Aramex has proven to be fast, efficient, professional and secure and as such they are are chosen courier partner. Postnet2Postnet rates are R99 for the first 5kg and are subject to change without notice. Please be aware that the parcels sent using this option will be delivered to the PostNet of your choice and stated in the delivery notes. To find out more please visit their website here. Did we say FREE shipping? We offer free standard South African Post Office shipping (registered mail with tracking number) for a single order with a value over $75. Any refund offered is done purely at the sole discretion of the Ultimate Adventure Company (Pty) Ltd and only on items deemed defective. Buyer is responsible for shipping/delivering the item back to the Ultimate Adventure Company (Pty) Ltd. The item will be inspected and if necessary returned to the manufacture for further inspection. If deemed defective a refund will be issues to the buyer which will include the buyers cost to ship the item back to us. An item deemed to be defective must be returned to us within 30 days of receiving the item from us and must be returned in it’s original packaging along with the proof of purchase. Please note that no paracord crafted item is eligible for a refund so please make sure you select the size and colours correctly. We encourage the buyer to contact us first to discuss the item in question should a refund be required. Exchanges on items are available at the sole discretion of the Ultimate Adventure Company (Pty) Ltd. The item being exchanged must be returned to us within 14 days of receiving the item from us and must be returned unopened and in it’s original packaging along with the proof of purchase. Buyer is responsible for shipping costs to return the original item and the delivery of the new exchanged item. Please supply a written reason for the request for exchange along with the details of the item to be exchanged. We encourage the buyer to contact us first to discuss the item in question should an exchange be required.